Product prices and availability are accurate as of 2019-04-20 16:07:11 UTC and are subject to change. Any price and availability information displayed on http://www.amazon.com/ at the time of purchase will apply to the purchase of this product. 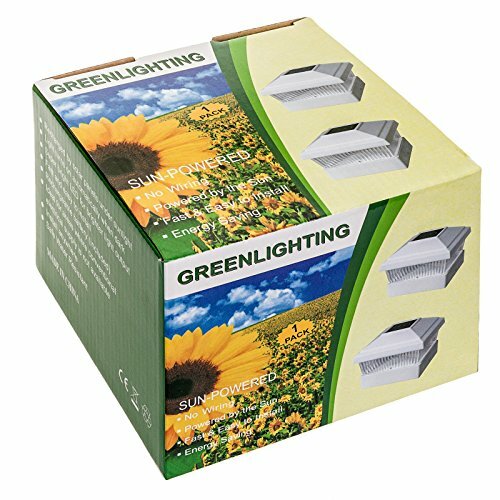 SOLAR POWERED - These post cap lights utilize the free natural power of the sun to operate. 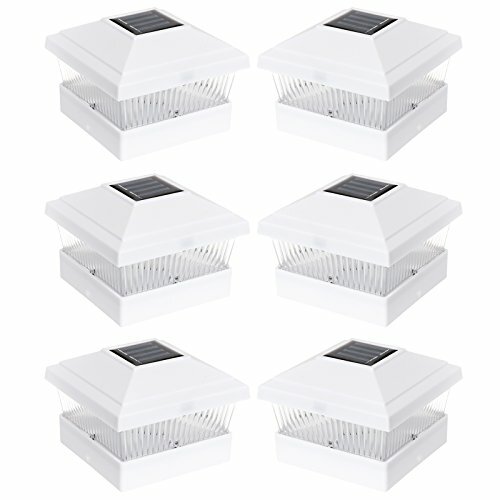 A crystalline solar panel absorbs light during the day and recharges the Ni-CD battery (included) for use in the dark eliminating your need to swap out batteries or install a costly outdoor power system. QUICK SET UP - No more going to the store for last minute batteries. With all the items needed to get you going you won't need to run around to find those last minute parts. Each LED light comes with a (1) AA Ni-CD rechargeable battery and mounting screws. LED - Energy efficient lighting is now "in" and for good reason. LED's take 75% less power to operate compared to traditional incandescent lights while lasting up to 25 times longer. Overall the average life cycle of an LED bulb is rated to be over 100,000 hours! DURABLE - Reusable Revolution takes pride in providing some of the highest quality products in the solar industry. 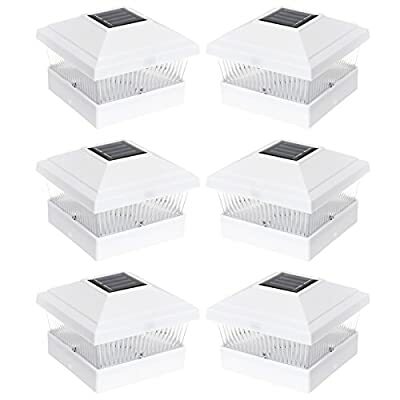 These lights are no different and feature a durable plastic frame and crystalline solar panel that have been designed to handle the outdoor elements for years to come. 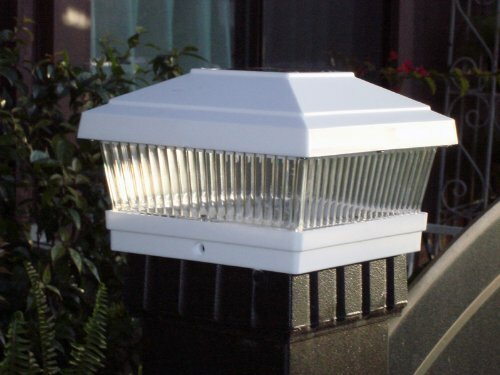 SIZING - Includes 6 post cap lights that fit Vinyl and Wood posts measuring 5" x 5"